A 473ml double wall constructed mug with a plastic interior and stainless steel exterior. 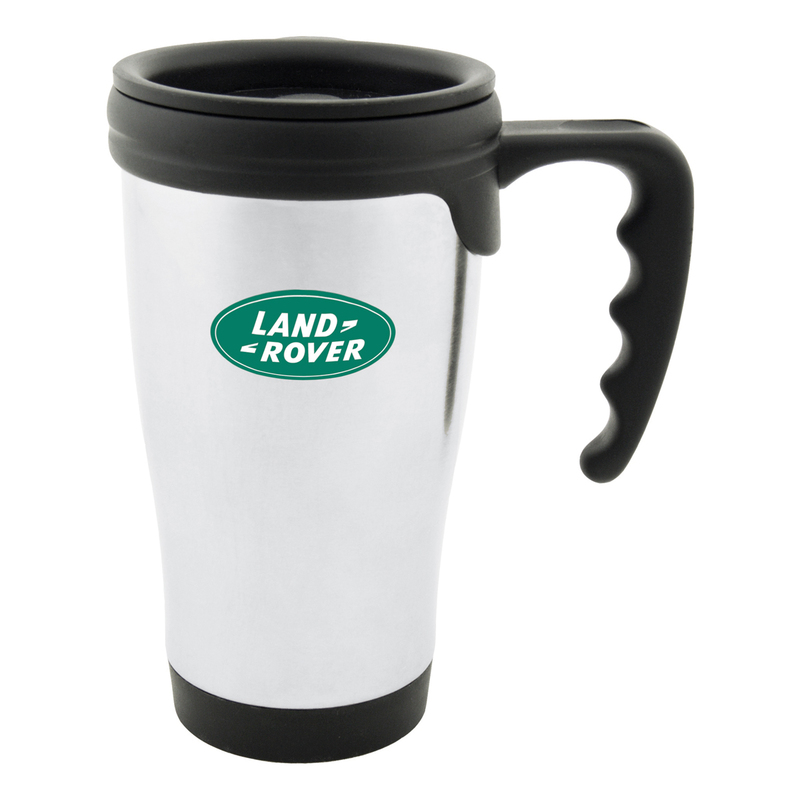 One of our most popular mugs now with a new, easier to grip handle and a push on lock top lid! Individually packaged in a white box. ?Material: Stainless Steel & PP Plastic Colours: Silver, Dimension: 473ml. Price includes : 3 Day Service* Pad Print - One Colour/Location. Setup is included.